More than often, people will tell you to put on an eyeshadow primer when working with eyeshadows, otherwise "don't even bother", but I've always wondered to which degree they work. Also, we can't forget to factor in the amount of oil your lid produces, weather/environment, eye rubbing, longevity claims of eyeshadows, etc! Wayyyy too many variables, and I usually end up slapping it on 'just in case'. But then I smelled opportunity (actually, that would be a fantastic perfume name....right?). 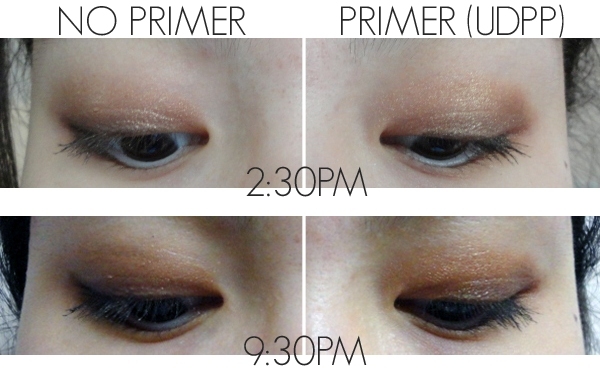 An opportunity to compare having an eyeshadow primer on versus no primer, and so voilà, accidental post, BAM! 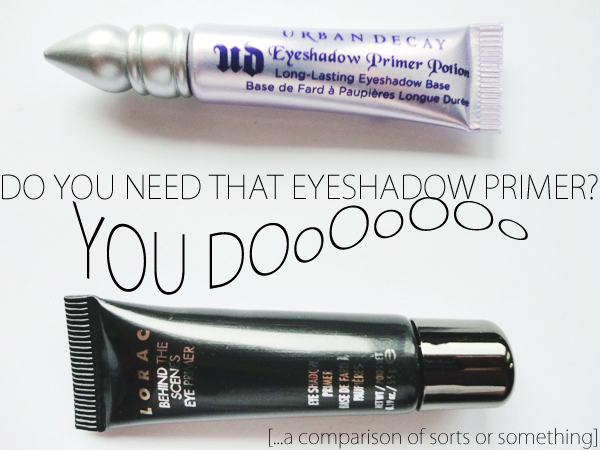 I'll also be comparing Urban Decay's 'Primer Potion' against Lorac's 'Behind the Scenes', because you know I love me some comparison posts. Since I had wet brushes, the intensity of the eyeshadows was more dramatic, and since Urban Decay's 'Primer Potion' neutralized my lids, the colours on the primed eye was more vibrant. Creasing, fading and smudging, yayyyyyyyy! The black eyeshadow I used to line my lids on the 'no primer' side has faintly made it's way up to my crease, and there's definitely less shimmer/more fade compared to the primed eye. 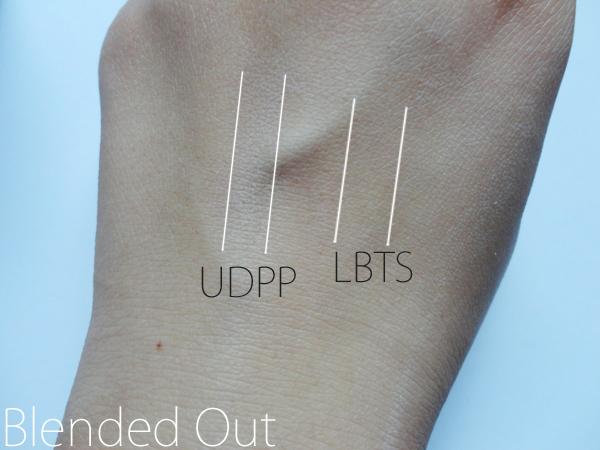 UDPP, for the most part, keeps the various shades intact, and there is barely any fading, smudging and creasing. So you need a primer. But which to choose? Unfortunately, my broke status only managed to snag two primers, Urban Decay's 'Primer Potion' and Lorac's 'Behind the Scenes', so we'll make do with that, 'kay? Of course, both primers have their pros and cons. You can see how UDPP neutralizes my entire lids in the chart, but overall, I think they both do their job wonderfully--no smudging of eyeshadows onto the lower lash line, as well as minimal creasing and fading. If I had to choose, I would probably have to pick Lorac's 'Behind the Scenes' over UDPP, just because it is a better value, is smoother and significantly easier to blend (sometimes I'll have to apply extra pressure to smooth out UDPP's chunks), has less harsh ingredients (I have sensitive eyes, so no sulfates and parabens is a plus! ), and just feels lighter on the lids because of it's thin consistency. Also, with both primers, a little goes a long way, so I'm grateful I won't have to be repurchasing Lorac's BTS for a long while! But you know, as a general thumb, eyeshadow primers are eyeshadow primers--their basic job is to keep eyeshadow in place all day, so you really don't need anything fancy to do the job! If it's cheap and works, go for it! On another note, LOL - I seriously do the same with academic articles! Intro and conclusion, that is what I read muahahha... ugh. All of it looks like gibberish and my brain just literally melts. BTW - I think we have a similar blog-post time schedule LOLOLOL. Yeah! UD isn't too bad, and if it does it's job, keep using it! Rena & I thank for your sweet comment today!! I thought I got a bad batch of UDPP because of the weird chunks! It does require a little more effort to blend in those blobs, haha. I like how you structured your post, very neat? clean? GOOD! A really informative review! When I do a full eyeshadow look I'll use the GOSH eye primer, it's not all that but it's the only one I gat. I was stalking your blog the other day and happened upon a primer post. THAT TITLE - "DO SHE GOT THAT PRIMER? SHE DOoOOo" OUTSTANDING. Felt like you brought it back. I appreciate. I didn't even know GOSH made an eyeshadow primer, mainly because IS IT WEIRD I DONT LIKE THEIR FONT/PACKAGING? LIKE 'I HAVE GOSH ON MY EYES' idk it sounds weird. But yeah, I need to find more drugstore primers! yeah I've also realised primers for le eyes are a lot more useful than most face primers. The pictures were great too! time/light differences are a pain but the difference was actually clear enough, really useful! and i actually think primer is hella useful! otherwise fallout city right? 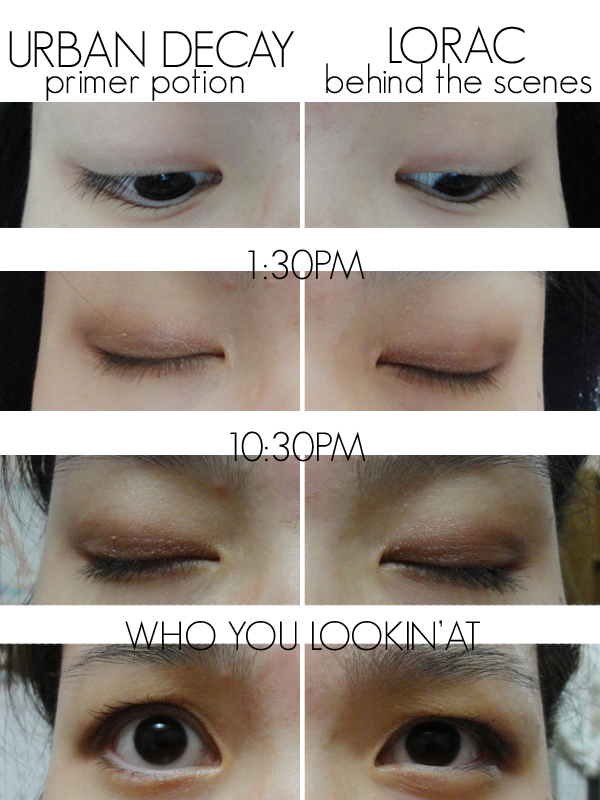 or just eyeshadows not looking as awesome. i cant believe you sacrificed your precious dollars to buy two primers at once just to do this post. that is dedication and you should get a standing ovation. in other news. have been using the nars primer and actually quite like it. it doesn't chunk up like the UD one does. Yeah, eyeshadow primer is hella more useful than regularface primers, I find. agreed, eye primer is a must! I have tried the UD one and it is great! Thank you for your review. I know how much effort is put into taking photos of close-ups, before and after, product 1 and product 2 etc. Not easy. UDPP and Too Faced Shadow Insurance are often compared with from where I come from. The TFSI sounds just like Lorac. It's thinner and easier to blend. 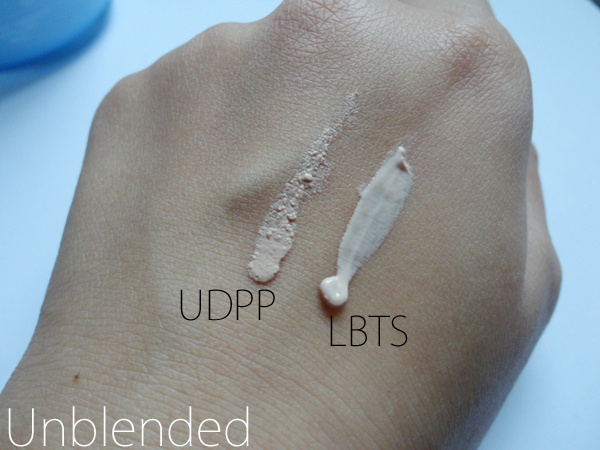 I find UDPP very cakey and difficult to blend. Only after warming it a little with my fingers do I find it easier to blend. I used the wand version from long time ago. The newer squeeze tube version you have seems to have an even thicker consistency. I managed to swatch Too Faced the other day, and I have to say it isn't quite as smooth as Lorac, in my opinion! But yeah, UDPP is very thick. I might try warming it up next time, thanks! Great post ! I use an elf eye primer and I love it ! 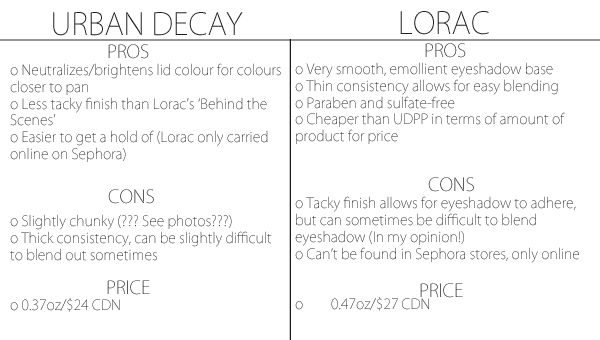 im so happy you used UDPP because i have it aaaaand im so sad that it lost to Lorac haha. now im tempted to get Lorac when my UDPP is all used up, which i think is going to be soon. always i appreciate you experimental posts vanessa :D and that obama not bad meme made me laugh hahaha! youredabest! I like UDPP still though! It was my first primer, but the consistency is just...weird LOL. Well, with the MAC Paint Pots, at least you have a coloured base to work with! I haven't tried them out, but if they work as a great base for you, I'll have to consider getting one!